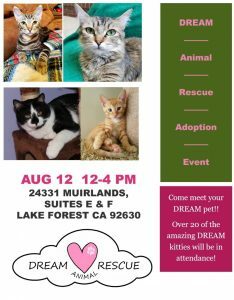 Join The Pet Adoption Center of Orange County in welcoming the foster kitties from DREAM Animal Rescue for a special adoption event at our Lake Forest adoption center on Sunday, August 12, 2018, from Noon – 4 p.m. Meet 30 cats and kittens, including some from the recent Lake Forest cat hoarding case, where OC Animal Care took in over 100 cats from a single residence. All cats and kittens come spayed or neutered, combo tested, FVRCP vaccinated, microchipped, dewormed and flea-treated. Don’t forget to look at the available PAC-OC dogs while you are there. 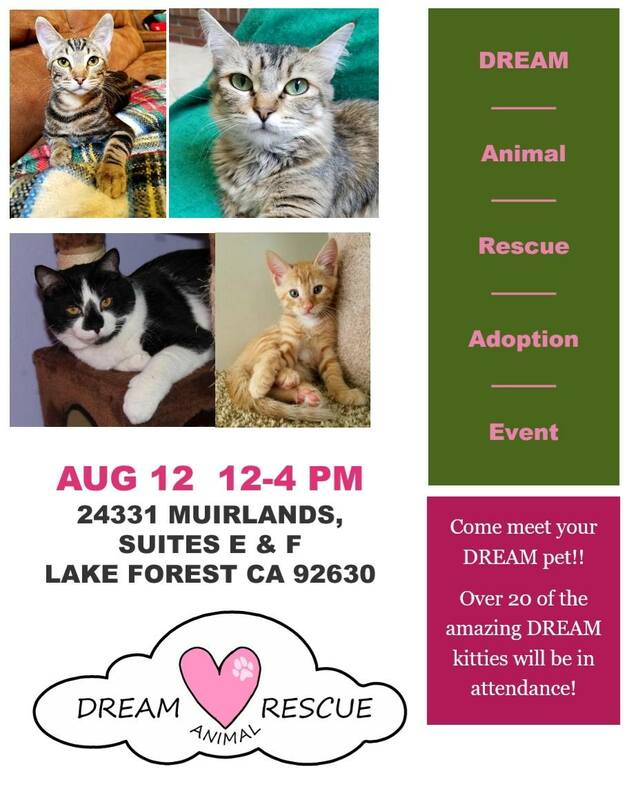 For questions about the event or DREAM kitties, call (949) 836-5664.